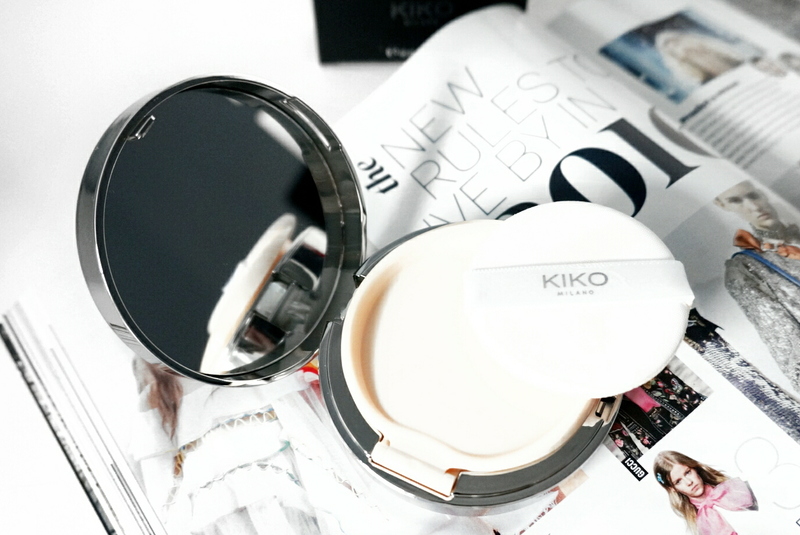 It's been 2 weeks since I've received this new Cushion Compact System by Kiko featured in my Kiko Haul. I have worn this a couple of times and experimented enough to give a full review of this compact. 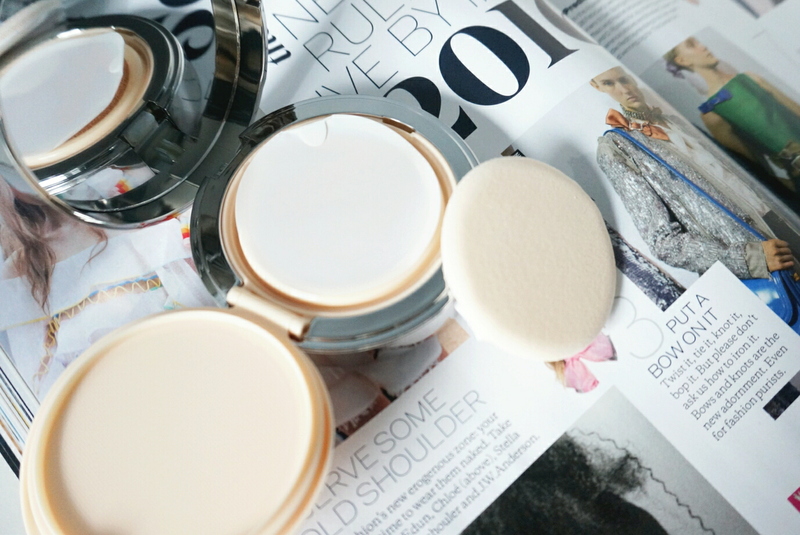 If you haven't heard about cushion compacts, where have you been? Cushion compact have been all the rave recently especially on YouTube on the Loreal Paris Lumi Cushion. Cushion compact originates from Korea and Korea has always been the leading beauty market. We are bringing more imported developed items from Korea and Japan such as sheet masks, the famous SK II Essence Lotion which is called the 'miracle water' and the BB cream into the UK. I can't wait until we get more of these items into the UK. 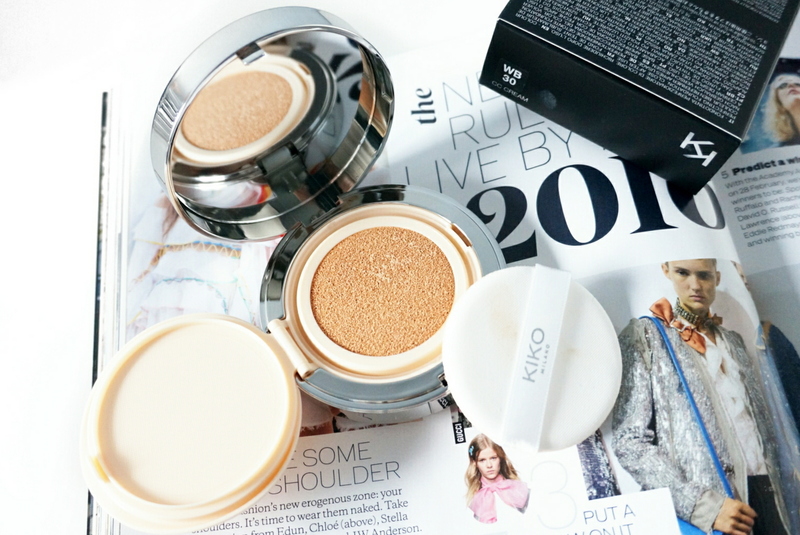 But back to the topic of the Kiko Cushion Compact System. 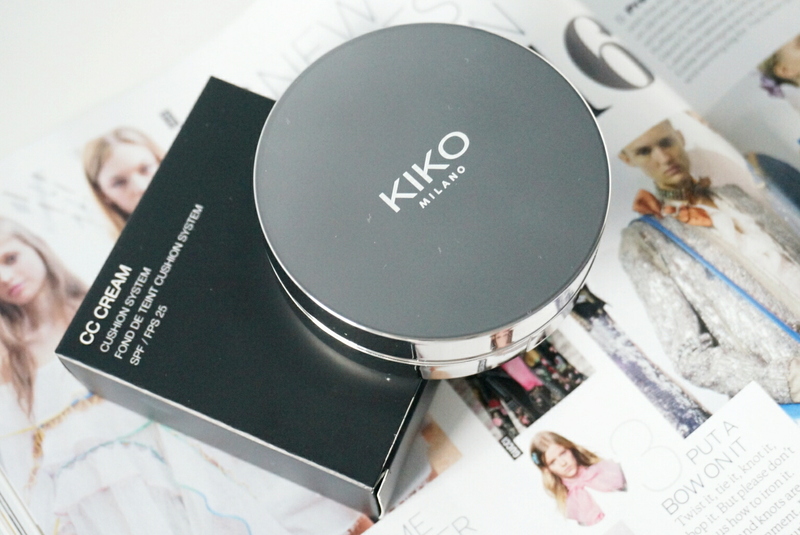 The Kiko Cushion Compact has a very sleek silver packaging. a press button to release the lid and a very handy clear mirror. One of the first things you notice is the 'unique sponge' on top of the cream toned air-locked lid which contains the foundation fluid. The tight locked lid will help prevent spillages when used to travel. The 'unique' sponge is different to your average make up sponge that you use to apply cream foundations or powders, it has a more 'airy' feeling which leaves a cooling effect on your skin. When you apply the product using the sponge provided the first thing I noticed was the smell. It absolutely stinks, I am not exaggerating, it smells like wet playdough - or simply unpleasant. When I was tapping the product onto my face, you gets whiffs of the smell - baring in mind my nose was blocked a few times during the period I tested the foundation. The smell however does not linger. The finish is matte and provides a flawless look. It has a build-able formula but it can become cakey on certain areas of your face such as your laugh and frown lines. The foundation however did not cover any of my red blemishes or acne scars and I found it difficult to really get into the crevices of my nose. I noticed the foundation slightly oxidises on my face which I didn't mind since I colour matched myself in-stores, it eventually becomes the perfect colour that matches my skin. The cushion compact retails for £15.90 for 10ml of product which approximately will only last you 1 month for daily use, so in terms of usage, it's not very affordable if you are used to your average drugstore foundation prices and product that can last up to 3 months. There are 12 shades to select from available in neutral, yellow or cool toned skin types. CC stands for colour correcting and I don't think this fits the description, it did not cover any of my rednesses or scars as mentioned before, but my skin did feel more softer. Some things that I need to mention is skin types, my skin has drastically changed in 2 weeks not because of the product but the weather, I used to have combination oily skin, but with the weather, my skin has become drastically dry. During my dry skin days the foundation enhanced my dryness and made it more visible and flaky, the foundation also wore off within 3/4 hours during these days which is not a good time frame. If you have perfect skin, little blemishes you might love this but don't forget the smell. I will often reach for this on my good skin days but I need a good concealer for my blemishes too. The cushion compact can be used to travel but I do find it bulky and I am not the type of person to carry my make-up to re-apply during the day. I still can't wait to find the perfect Cushion Compact for me. If you are looking for another cushion review, I have reviewed the Loreal Paris Lucent Magique Cushion Lumière here. Have you tried any cushion foundations? This is such a good price! Great read, and recommendation, thanks! I love Kiko makeup it's one of my many favourites, I love how beautiful and gorgeous they feel on your skin, great review and very cute blog. SK-II is a Japanese product, not Korean. I tried the Kiko cushion last year when it was first released. It was awful. I'll give YSL a try tomorrow (their cushion will be released here tomorrow) but I'm ready to give up on cushions from western brands. The only exception is the cushion from Estee Lauder - surprisingly decent, but unsurprisingly expensive. And Clinique will release a cushion next month. For now I'm sticking with Korean products.